Want to finish your degree during your time around Langley? Not sure how to access tuition assistance or use your GI Bill? Wondering if online schools will work for you? 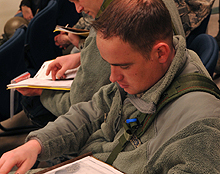 Those (including spouses) interested in furthering their education should consult the Langley AFB Air Force Education Center. The greater Hampton Roads area has a wide range of post-secondary education options.